Globeboom - SOS Safety International Inc.
GlobeBoom® range is unique in many ways. It can be used as a fast response boom or for permanent installations. It can even be stored on a reel thanks to the special high density polyethylene (HDPE) round floats that can easily nest. The floats are of a hemi-spherical design and are extremely abrasion and crush resistant. GlobeBoom® range is unique in many ways. It can be used as a fast response boom or for permanent installations. It can even be stored on a reel thanks to the special high density polyethylene (HDPE) round floats that can easily nest. The floats are of a hemi-spherical design and are extremely abrasion and crush resistant. 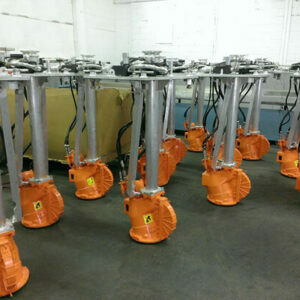 Each globe has a cast handle that allows for easy handling. 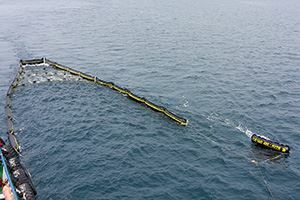 Attached to both sides of the boom, they create excellent stability and also minimise reactionary forces being transmitted to the fabric generated by wave action. This also means the boom is more responsive to short period waves. Thus the globe float is far better than an enclosed or bolted ‘square’ float configuration. 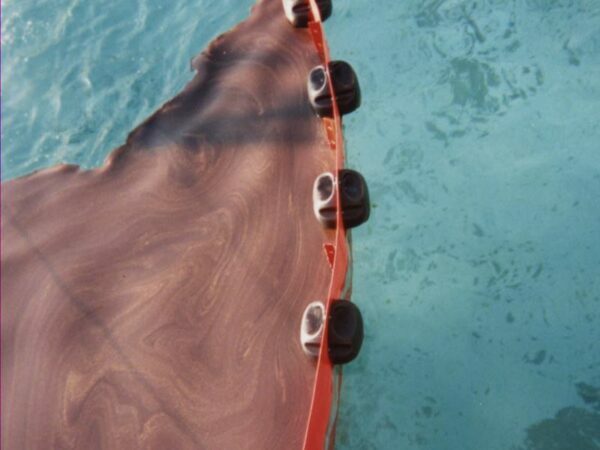 GlobeBoom® also resists the planing failures and has operationally outperformed all other designs in its class for the difficult and demanding fast water and river applications. 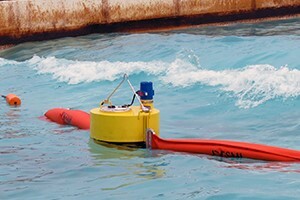 However, GlobeBoom® is equally at home in sheltered waters and can be deployed without power packs, reels or inflators making it a superb first response option. 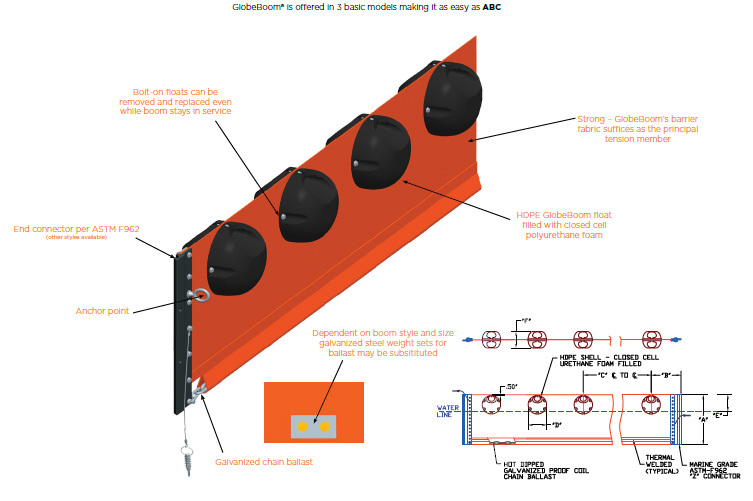 GlobeBoom® is offered in 3 basic models making it as easy as ABC. Designed as an emergency first response boom and with the integrity of a light weight pure urethane coated fabric. Tough and easy to handle this GlobeBoom® LWU is supplied with aluminium connectors and an enclosed ballast chain in a self draining lower sleeve. The boom can easily interface with other DESMI systems or accessories. 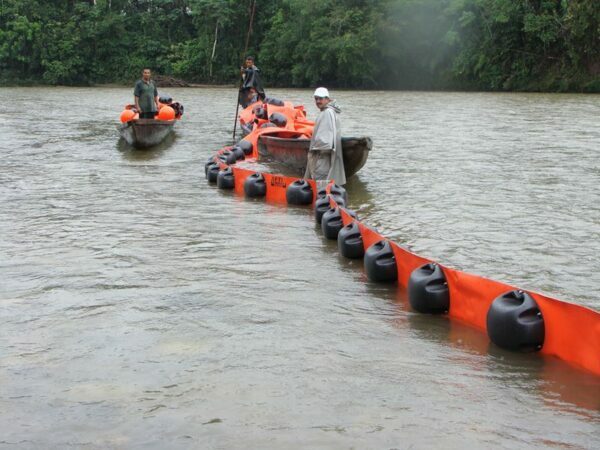 A heavier version of the above and with a special boom material developed by AFTI allowing for use in more extreme applications such as fast water, rivers, every day deployments and semi permanent installations. This Extended Duty design is available in various sizes up to a 900mm or 36 inch. 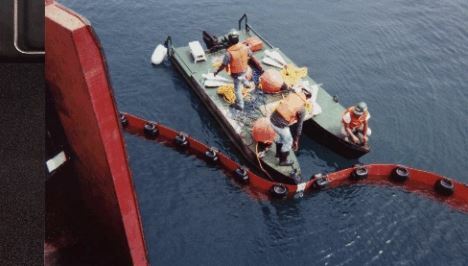 A heavy duty design primarily for permanent and semi permanent installations such as sea water inlets and outfalls The ballast is achieved with fixed metal weights bolted to the skirt.